This item is a hand written copy and a newspaper version of the poem "Don't Go Back!" It is attributed to John E. Cook on the front of the document, but signed "L.H." in the attached newspaper clipping from the Lawrence "Herald of Freedom." 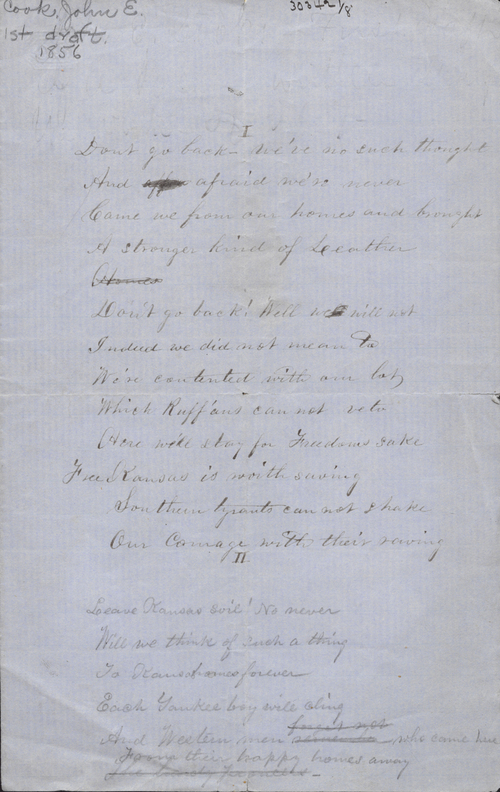 This document purports to be the first draft of this poem directed at Northerners who might be tempted to give up the Kansas Territory struggle after the tumultuous year of 1856. The versions presented are not identical.